The Jedi Wife Celebrates 5 Years with Colors by Llarowe and a Fundraising Custom! Good evening, dear readers! If you've been following along my blog the past month, you've likely already seen my posts about celebrating my 5th blogiversary. Because 5 years is a universally accepted milestone, I wanted to celebrate with custom polishes inspired by the gifts associated with five years. The prompt of traditional gift of wood was provided to KBShimmer, the modern (jewelry) gift of sapphire was provided to Literary Lacquers, and today's post features the final installment: the official 5th anniversary flower, the daisy, was provided to Colors by Llarowe! Instead of the more traditional white daisy, Leah Ann and I decided to use a red gerbera daisy for our inspiration for this polish. Presenting, One Precious Dai-sy! 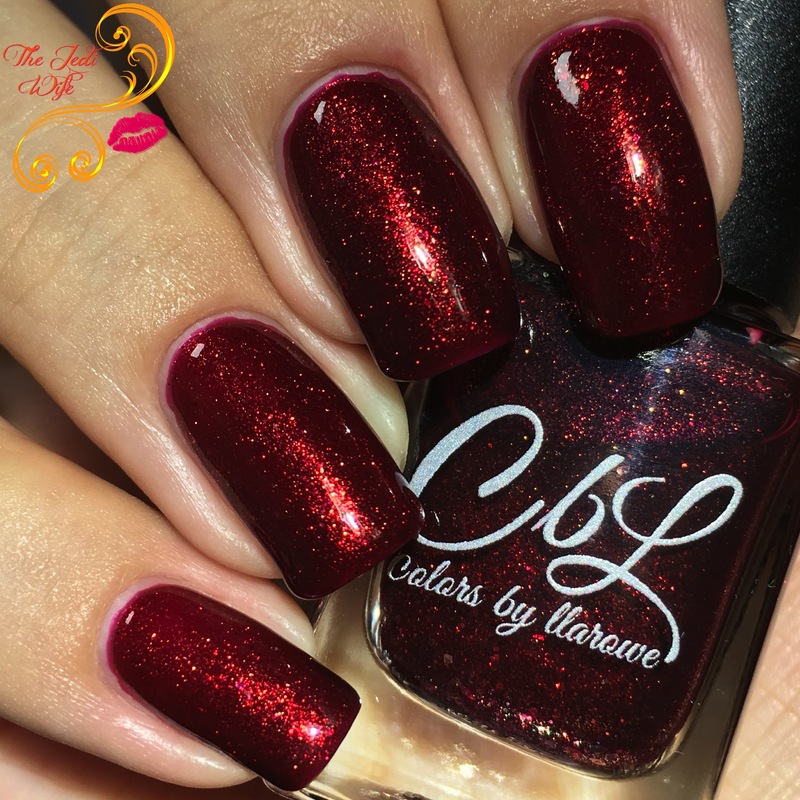 Leah Ann certainly knows how to make the most amazing red polishes! One Precious Dai-sy is simply exquisite, and these photos don't come even close to capturing its beauty! Shown at three coats with top coat here, it applies effortlessly and makes your fingertips glow beautifully. 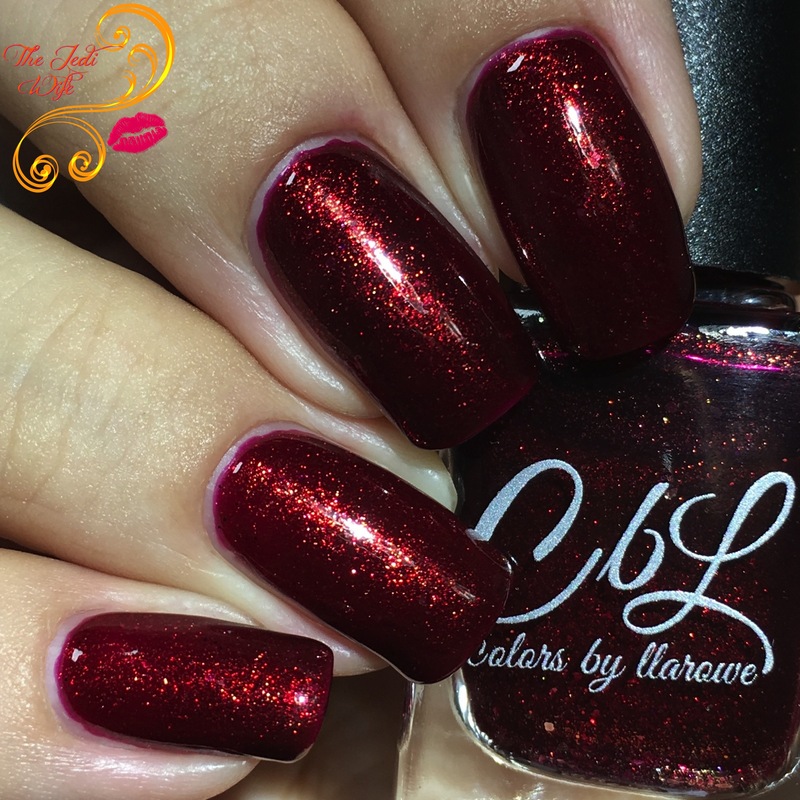 The rich red base is packed with shimmer to really make your nails dazzle, and there are additional flakies for added drama. I really love how this polish turned out, and I hope you do too! As beautiful as this polish is, Leah Ann and I knew we had to do something amazing with it. Leah Ann decided to launch One Precious Dai-sy as a charity fundraising polish, and as soon as she told me that, I knew exactly where I wanted funds to be sent. When I was pregnant with my second child, my friend Rebecca was also expecting her third child who was to be born a few months after my son. The universe, however, was cruel and had other plans for the family; Tucker was born still at almost 29 weeks gestational age. Needless to say, the loss was devastating to the family and so many others that were eagerly anticipating Tucker's arrival and subsequent growth to adulthood. Rather than letting her grief, Rebecca set out to raise funds and awareness for the stillborn community. It was in her research that she discovered the CuddleCot system, a portable cooling system disguised as a Moses basket. The unit is able to preserve the baby for up to four days, providing the most precious gift of time to grieving parents and family. The CuddleCot system is relatively new in the United States and in very few hospitals. 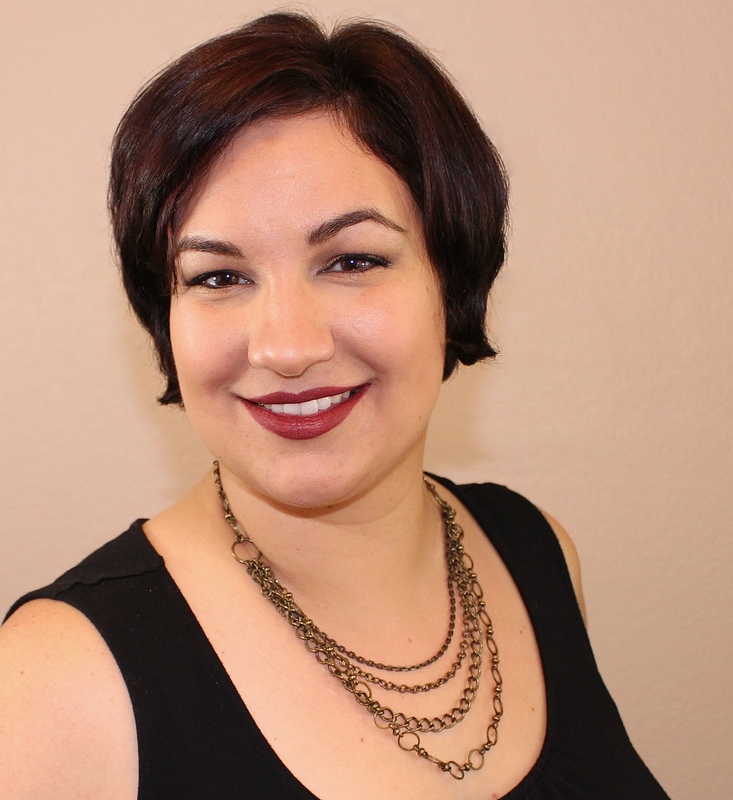 Many Labor and Delivery units are completely unaware of its existence, and Rebecca has worked hard to educate the medical community about their existence. In addition to spreading information about the CuddleCot device, Rebecca has also raised funds to have three units placed in hospitals in the Bay Area. To this day, she is still giving talks to spread the word and continues to raise funds. I couldn't think of a better fundraiser for me to honor sweet Tucker and the strength of Rebecca's family than to have funds donated to Stories of Babies Born Still for the Tucker Makris CuddleCot fund. One Precious Dai-sy will be launching at The Indie Shop event in Atlanta, Georgia this Saturday, March 11th at the Doubletree Hilton. Attendees will be able to pick up this beauty while present as well as save money on shipping fees. For those unable to attend the event, One Precious Dai-sy will launch at llarowe.com upon Leah Ann's return from Atlanta. One Precious Dai-sy may have originally been created for my blogiversary, but I feel so honored to turn this beauty into so much more. I hope you consider picking this up either at Indie Shop or online and help provide the most precious gift of time to those mourning the loss of a child. Until next time, dear readers, have a wonderful night. Congratulations! This is a stunning red! That is a stunning red polish! This is a gorgeous polish! I kinda want a ball gown in this shade. That is an amazing looking red! Yeah, I'm going to grab this on Saturday. I love that it's a charity polish, also. Congrats again on your anniversary! Wow, it's almost like gems on your nails! This is a gorgeous color! And to help a charity to boot! YES! This is just stunning! And congrats again on you 5 year anniversary! Congratulations! This red is surely stunning! Oh wow, this shade is SO pretty! Totally my type of color <3 There's so much depth and sparkle to it! I love this color! It's super rich and that shimmer is so gorgeous. This color is stunning! Congrats on your anniversary! I,A.M...Custom Color Cosmetics: Tree Crabs!!! Win The Happy Prince and a Sapphire Necklace!